Fly to the Pacific Northwest by chartering a private jet to Vancouver, a coastal seaport city located in the Lower Mainland region of British Columbia, Canada. 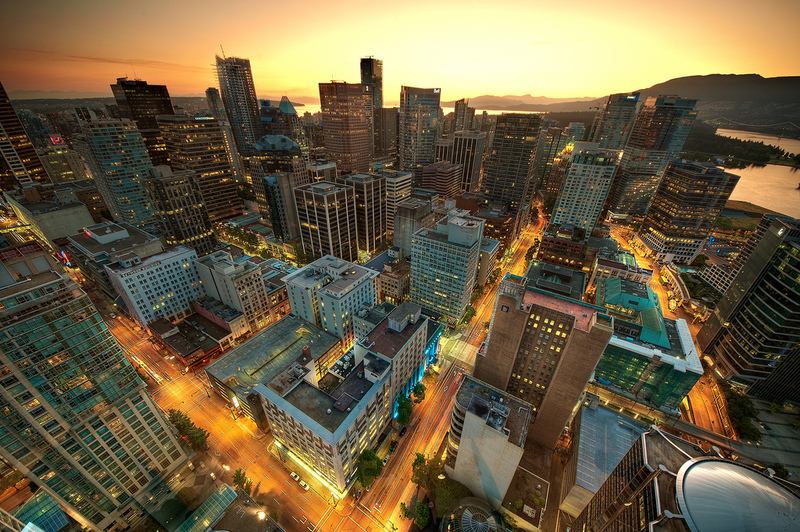 Vancouver is a major global city and home to some of the most important infrastructure in North America. The city offers 4 airports and two major seaplane bases located within 20 miles, and it’s one of Canada’s most popular destinations for business jets and leisure charter flights. Enjoy instant access to private jets and airliners located around the world, and luxury concierge services including helicopter rentals, ground transportation and yacht charters to complement your flight. Our brokers are available 24 hours a day for your private jet charter needs in British Columbia, Canada. Working with an Air Charter Advisor means having a dedicated aviation professional handling all aspects of your private air travel. Wyvern-certified, we apply some of the highest standards in aviation to every flight, reviewing third-party audits to ensure compliance with every plane, pilot and operator, and we never cut corners or costs by jeopardizing your safety or comfort. We go above and beyond what the FAA requires, and Fortune 100 companies have contacted us to arrange supplemental lift as our standards fall in line with those applied to their corporate fleets. From Cessnas and King Airs to Hawkers, Globals and Gulfstreams, we have access to thousands of planes located around the world, connecting you to the best aircraft for every flight. Our aviation services also include private jet management, and we can market your plane using the largest online hub for on-demand jet charter flights. We specialize in medical charter flights, VIP private jet service, helicopter rentals, and we can arrange luxury concierge services to complement your flight. Enjoy competitive rates and free quotes for all your flights, and fly in as little as 4 hours with our transparent, all-inclusive booking process. Call us at 1-888-987-5387 or send us your flight details via e-mail and review the aircraft and airport options for your private flight to Vancouver, Canada. Vancouver offers 4 airports within 20 miles for jet charter service, as well as 2 seaplane bases for recreational flyers. Rent a private jet to the city’s international gateway, Vancouver International (YVR), equipped with 3 runways and 3 FBO’s. Boundry Bay Airport (YDT) is the city’s business jet hub with two runways and private terminals, and an array of helipads to quickly fly executives around the city. Rent a private jet to Vancouver, the third largest city in Canada, the largest metropolitan area in Western Canada with a population of 2.6 million, and home to the highest population density in the nation. Vancover is situated in the southwest corner of British Columbia and nestled between the Coast Mountains and the Pacific Ocean, famous for its majestic natural beauty and incredible landscapes. 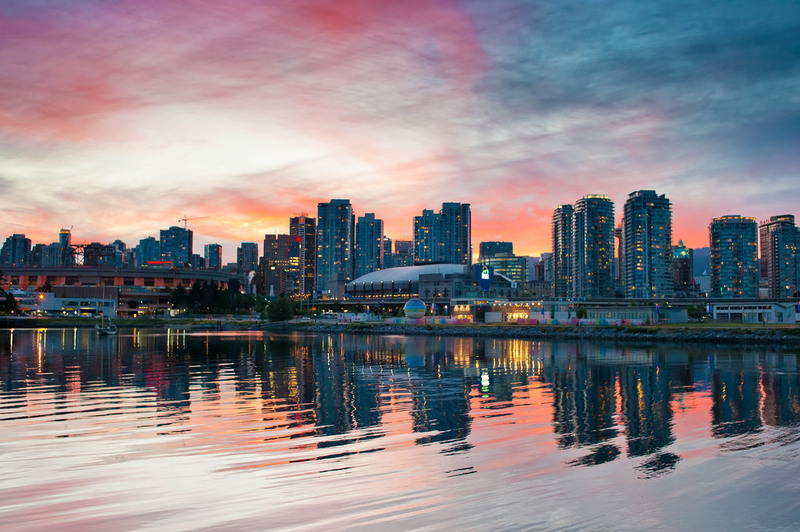 The city is split into three main parts: the Westside, the Eastside (or East Van) and city centre — everything west of Ontario St. is the Westside, everything east is East Van, and everything north of False Creek is the city centre. It was named after Captain George Vancouver after he sailed through the First Narrows in 1792. Following the transcontinental railroad, it became a major trade hub between the Orient, Eastern Canada, and Europe. 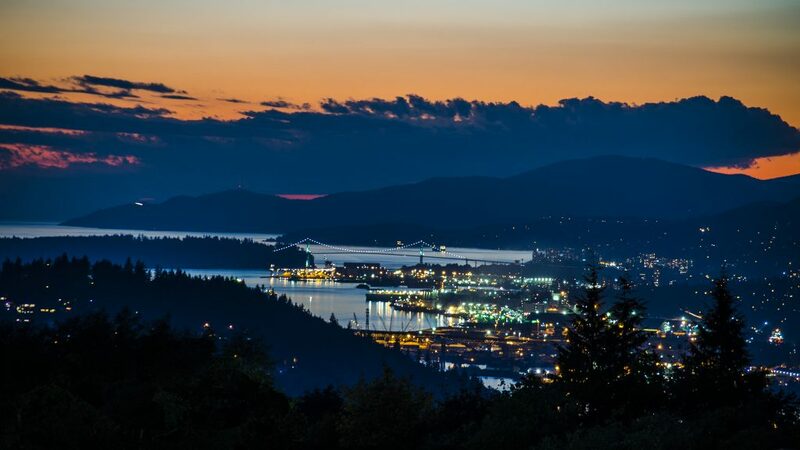 The Port Metro Vancouver is the one of the most important center in Borth America, ranking as the third largest port in the Americas, 27th overall in the world, the busiest and largest in Canada, and the most diversified port in North America. Although forestry has been the city’s major industry for decades, the city’s urban center is surrounded by nature and lush forests, making tourism its second-largest industry. It’s a beautiful place to live, as well: it consistently ranks as one of the top five worldwide cities for livability and quality of life, and the Economist Intelligence Unit ranked it #1 among the world’s top-10 most well-living cities for five consecutive years. Film production in the region has grown in recent years, turning Greater Vancouver into one of the largest film production hubs in North America and earning it the nickname Hollywood North; after scouting locations for years, the TED conference made Vancouver its indefinite home in 2014. Clients flying to the Pacific Northwest can select from the following private aircraft for their charter flights to Vancouver and surrounding areas of British Columbia. The Pacific Northwest of the United States and Canada handles a large amount of private jet traffic thanks to major destinations including Seattle, Portland, Victoria and Vancouver. Empty leg charter flights can become available, and if they match your routing, can reduce your charter cost by more than half! Check out the planes we utilize below, and contact us with any special requests. Tucked away in the Pacific Northwest, there are 3 additional airports surrounding Vancouver located between 30-40 miles away in British Columbia, Canada. All three runways measure long enough to accommodate any size private jet, and offer flexible arrival/departure options for jet charter clients. Click here to view private airports in Victoria, British Columbia, located just over 40 miles away. Request a Quote or give us a call at 1-888-987-5387. We have years of experience flying a variety of clientele, providing exceptional service to heads of state, celebrities, top business executives, and leisure travelers. Our private jet charter Vancouver brokers offer direct access to thousands of jets, turboprops and airliners located around the world, and we can have you in the air in as little as 4 hours!